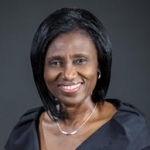 Dr. Faustina Quist is currently an administrator at a Montgomery County Public School (MCPS) in Maryland, having served in this position for 11 years. Dr. Quist is also an educational consultant heading the non-profit organization, Nabib Educational Consultancy INC, which provides authentic consultative work in the provision of information, resources, and training for individuals, families, groups or organizations of children with special needs and at-risk youth. My profession is associated with diagnosing, analyzing, and addressing a wide variety of vehicular issues and I am now a Master Automobile Technician in the Washington D C Metro area for more than ten years now. My experience in auto mechanic work ethics has made me develop a strong human relationship skill set which will be used to build a stronger inter and intra-personal relationship in this new era. The fear of God and my commitment to church activities led to my elevation as one of the elders and the treasurer of the Ewe Church of America. I served the Volta Association as the chair of the Organizing team for over eight years with unquestioned dedication and fervor. I have a very high regard for our Ewe values, culture, and traditions which I will like to invest in our vibrant youth for sustained leadership succession for the Volta Association. I am a team player with an aim of working together with the present team to make the Volta Association a vehicle to advance the goals of individuals here in the Metro area. Vincent Kosi whose middle name is Hamenu, (aka Muzenge) is a community man. 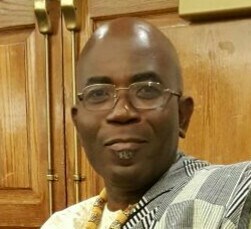 Vincent was the penultimate secretary of the Ghanaian Association of Minnesota (GhanAM) and the first Chairman of the Ewe Association of Minnesota (TEAM) which became a 501(c) (3) organization within four years under his chairmanship. Vincent also was the chairman of the Ghanaian Soccer Club of Minnesota (Ghascom). As a history major student, Vincent was part of the presentation team at the Minnesota International Center (MIC), teaching students of all levels the culture and practices of some Ghanaian societies. As a member of the organizing team, Vincent puts his experience at the door steps of Volta Association in its pursuit to make the membership mutually enjoyable to all.